Count Down to New Year's 2019 at The AMC Times Square Family Fun Fest, New York Times Square's Top-Ranked Entertainment Center. 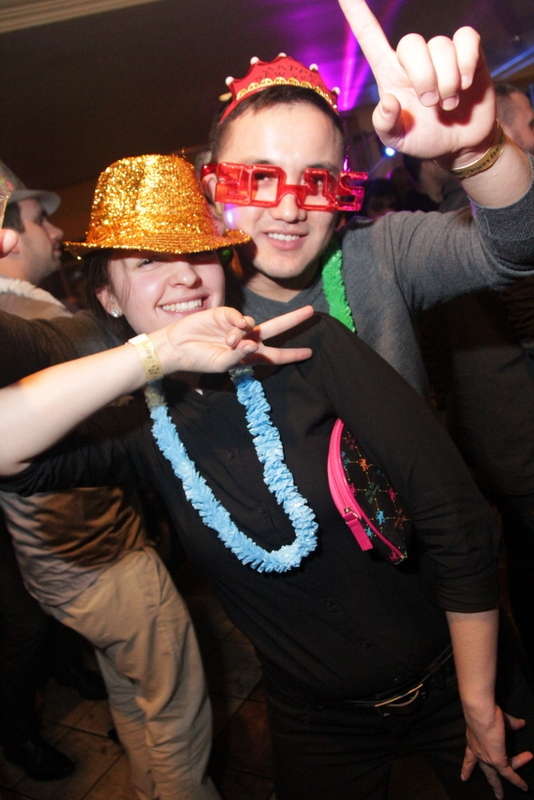 Live DJ playing top hits all night and a live DJ NYE countdown at midnight! PG13 Movies playing all night! Coat Check (provided by and responsibility of venue - additional charge not included with ticket. Your General Admission Ticket gains you access to Times Square on Dec. 31st. Please make sure to have your ticket with you upon arrival in Times Square. You will need to show it to any security if needed. Please enter event at 41st Street & 8th Ave (North) between 7:00PM-11:30PM and 12:15AM-2:00AM (as regulated by NYPD). Admittance restrictions may be in place during the Ball Drop (11:30AM-12:15AM). 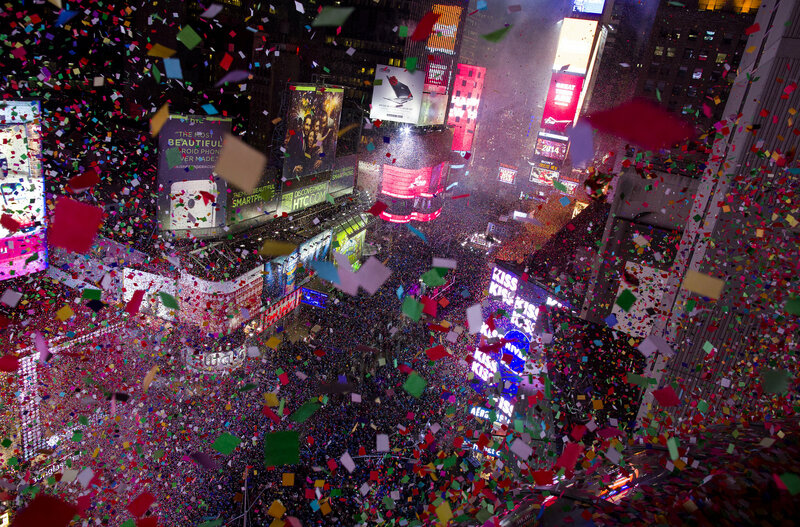 Regardless of admittance time to your party, make sure to enter the Times Square no later than 8pm. The entire 3rd Floor is a 100% NO ALCOHOL ZONE. Absolutely no alcohol will be served, regardless of age. Guests who are of age will NOT be allowed access to other floors for open bar privileges. All guests 17 years of age and under must be accompanied at all times by an adult 25 years of age or older. All general admission ticket benefits. Seated VIP tickets accommodate any size group (no minimums required – pending availability).. Please enter event at 41st Street and 8th Ave (North) between 7:00PM-11:30PM and 12:15AM-2:00AM (as regulated by NYPD.) Admittance restrictions may be in place during the ball drop (11:30PM - 12:15AM.) Regardless of admittance time to your party, make sure to enter the Times Square area no later than 8pm. This ticket does NOT give you access to the Live Ball Drop view! All guests 17 years of age and under must be accompanied at all times by an adult 25 years of age or older. All guests 21+ and accompanying adults must show valid photo ID to enter. Your Mezzanine VIP Access Ticket gains you access to Times Square on Dec 31st. Please make sure to have your ticket with you upon arrival in Times Square. You will need to show it to any security if needed. Closest Proximity to the Dance Floor. Enjoy 3rd Floor Mezzanine All Ages Party level (Mezzanine VIP Access ticket holders stand). Only persons holding All Ages Party Mezzanine Seated VIP tickets will have reserved seating. All Ages Party Mezzanine Seated VIP tickets accommodate any size group (no minimums required – pending availability). Live DJ playing top hits all night! 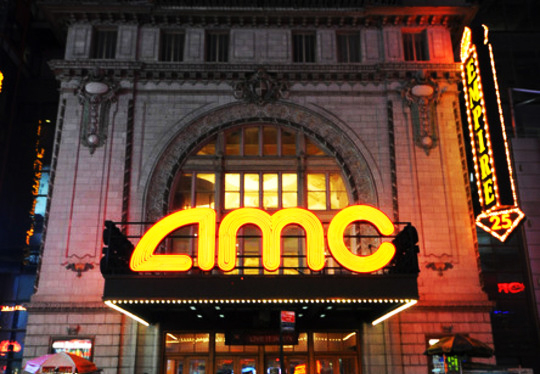 Your AMC ticket gains you access to Time Square on 12/31. Please make sure to have your ticket with you when coming to the event. You will need to present your ticket to security upon request. Without your ticket, you may be denied entrance to the area. All patrons must use 42nd St entrance for admittance. Please enter between 12:15AM-1:00AM (NYPD Permitting). No admittance during ball drop (11:30PM - 12:15AM) or after 1:00AM. Admittance restrictions to Times Square may be in place during the ball drop (11:30PM – 12:15AM). Please allow yourself plenty of extra time for travel! This ticket does NOT give you access to the Live Ball Drop view. 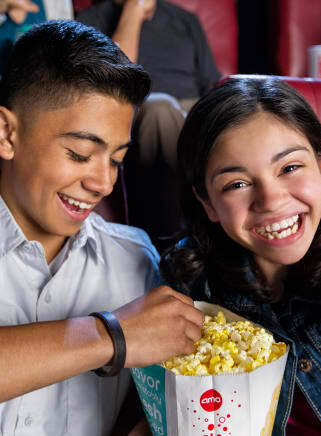 Supersize you and your family’s New Year’s Eve in New York City with the NYE Family Fun Fest at AMC Times Square, the popular movie and entertainment mega-plex located a stone’s throw from the legendary NYE Ball Drop. 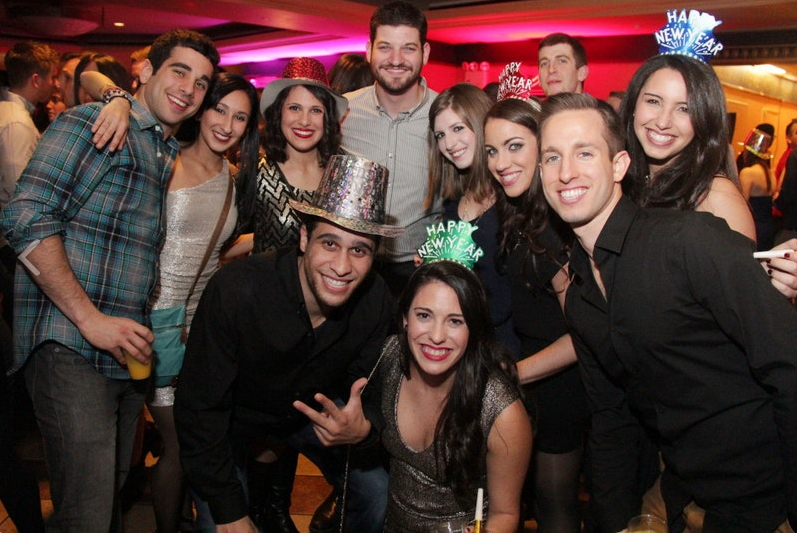 At the heart of the most exciting NYE action the world over, NYC’s AMC Times Square transforms into a private New Year’s party jam-packed with family-friendly entertainment, music, festive activities, and so much more. 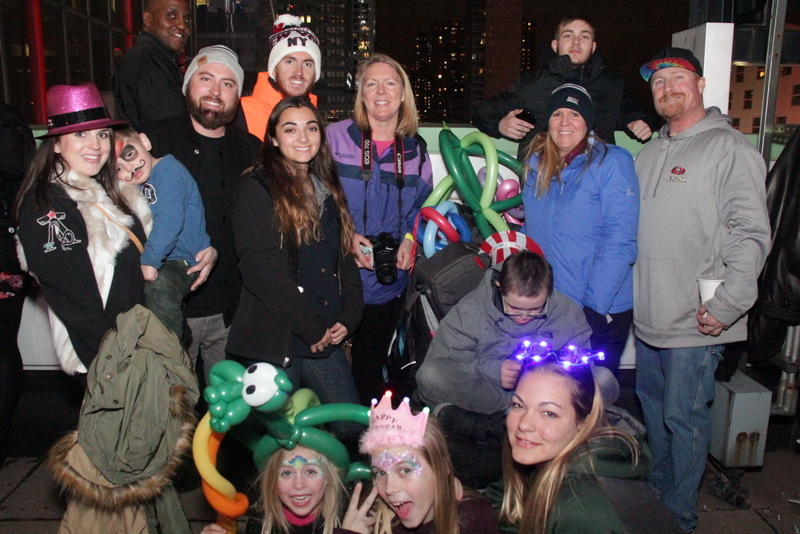 NYC’s AMC NYE Family Fun Fest is one of Times Square’s biggest family-friendly ticketed events, perfect for families, friends, and every kind of fun-lovers. Think family fun galore with family movies and entertainment, sing-alongs with the all-ages DJ Danny, conga lines and balloons, concessions with drinks, and the most fun-filled NYE revelry for kids from one to ninety-two. 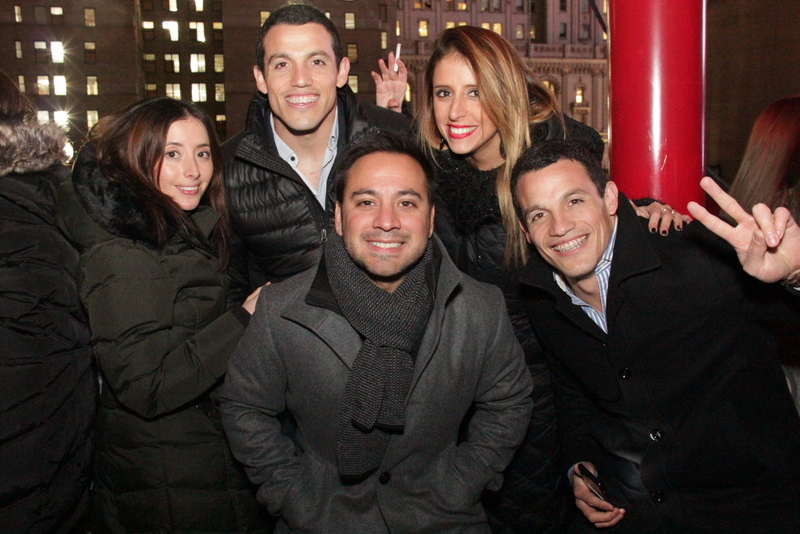 There’s no limit to the NYC NYE adventures you and your family can have at this party extravaganza – all without an extravagant price tag. *NOTE: Please be advised that the ticket you are purchasing is for an event located within the Times Square zone. Please make sure to have a ticket for each member of your party when coming to the event. You will need to show it to security upon request. The ticket you are purchasing is for the New Year's Eve event happening inside the venue. Unless otherwise noted with the purchase of a specific ball drop viewing ticket (if available), you will not have access to view the live ball drop. Entering and exiting the venue area is determined by NYPD. Once you leave an event, re-entries are not guaranteed. Rob Swift knows all about evolution and its conceptual cousin, revolution—whether it's the spontaneous kind that sparks radical change, or the vinyl-based kind that occurs at 33-1/3 revolutions – per - minute (and variations thereof). And for a cat like Swift—who has worked with everyone from Linkin Park to the Red Hot Chili Peppers to Mike Patton to Herbie Hancock to Blue Man Group—truly forward-thinking, revolutionary music just seems to come naturally, and on some occasions, at a cost. DJs must adapt, and in this high-speed information era. Thus, Rob Swift seeks to continue expanding his scope of vision from beyond Hip Hop to new expressive genres of music. 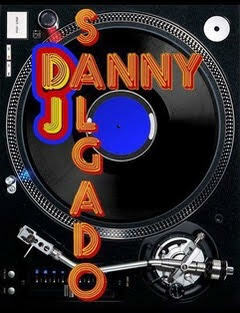 DJ Danny has been entertaining people for over 20 years. In the 1970's and 80's Danny grew up in a home where music was played and always available. He was exposed to different genres of music such as Salsa, Disco, RnB, and Hip Hop. As music evolved so did Danny. Spinning music for friends and family at house parties and small functions became the beginning of what would soon be Danny's Musical DJ Career. In The early 90's Danny along with his sister Sandra and brother Frank, started the Club, Mobile, and Promotions company Changing Rhythms (a.k.a. S and D productions). With Danny's masterful spinning, Frank's music library, and Sandy's promotion and advertising skills, they became a small, personal, and family oriented Mobile DJ Company that could provide affordable DJ services for private events and Club promotions. Growing up in New York City, Danny took advantage of the diverse music melting pot brewing in Manhattan's night life. He has played at some of the most legendary New York night spots such as Palladium, Vanity, and Pipeline. Later he played DJ and Host to House Music Saturdays at Classico and Karma Lounge. While catering to New York's night life Danny also represents Changing Rhythms Mobile side. He has arranged and provided DJ services for corporate and holiday parties for organizations such as Liz Claiborne, Active Staffing, and Pershing DLJ. spinning House, Disco, and Club Classics. Don't let the styles just mentioned fool you. When providing mobile services, you can hear almost anything from Hip Hop, to 80's Retro, Jazz, and everything in between. We know you will enjoy what you hear. After all... This Is What He Loves To Do.